All changes that produce an effect on gameplay entail changes to such game aspects as the matchmaker, the Tech Tree, economy, upgrades, Commander skills and much more. 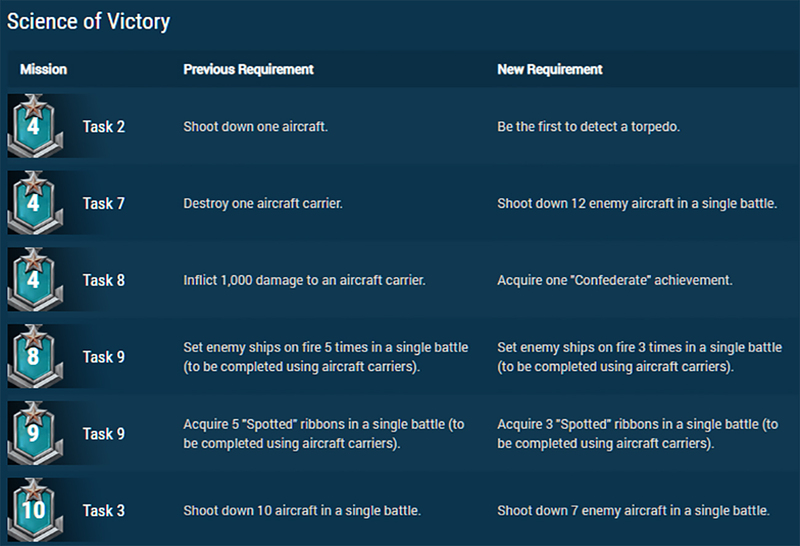 In the Tech Tree, aircraft carriers will be placed at even tiers only. Up to three carriers may be matched to a team for battle. Now, you will have more options for fitting up your carrier and more strategies to pursue in combat, but it will take you many a dozen battles to acquire a good understanding of the mechanics and become a true flying ace. Controlling air squadrons with the new AA defense mechanics in place is a tricky business: you need to master the skill of starting a maneuver well in time to evade explosions of AA shells, keep an eye on enemy squadrons, and foresee the actions of your target. From January 30 until February 8 you can reset skills and retrain your Commanders free of charge. All upgrades that interact with aircraft or AA defenses will be demounted from your ships so that you can "pimp" your ships the way you like. Game balance is always one of the hottest topics. It's important to understand that it's impossible to set up the optimal balance conditions during tests, because the test server has significant differences in comparison to the main server (other game conditions, no statistics, the majority of opponents are bots). 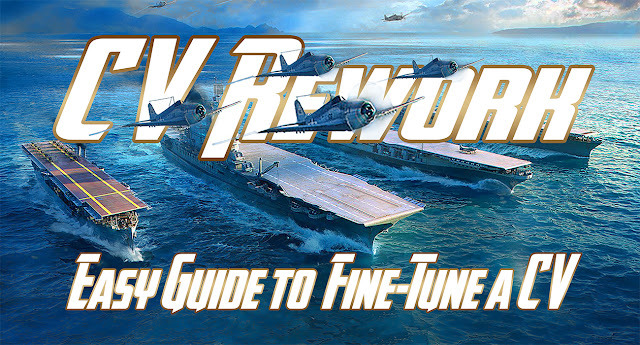 Over the course of several months, after the release of reworked carriers, it’s possible that further changes will be made in terms of aircraft parameters and the number and types of squadrons; but rest assured that when we do so, we'll rely on the feedback and support of our players. With the release of Update 0.8.0, all players will begin to get acquainted with the reworked carriers. Mastering the new gameplay is likely to be a lengthy process, it’s necessary to play dozens of battles in order to understand the mechanics and become a true master. Controlling air squadrons in relation to the new AA defense mechanics is a tricky business: you need to learn to manoeuvre in time to evade the explosions of AA shells, consider enemy squadrons, and anticipate the actions of your target. So don't get discouraged if your attack on an enemy isn’t successful on the first attempt. Those who play on cruisers, battleships, and destroyers will go through a similar process, but regardless of the global changes made to aircraft carriers, we tried to impact other ship types as little as possible. While adapting them to the new mechanics, we tried to preserve the unique AA defense parameters for each ship. As we expect a great deal of interest from players regarding the updated gameplay, we have provided for some flexibility in the matchmaker function. 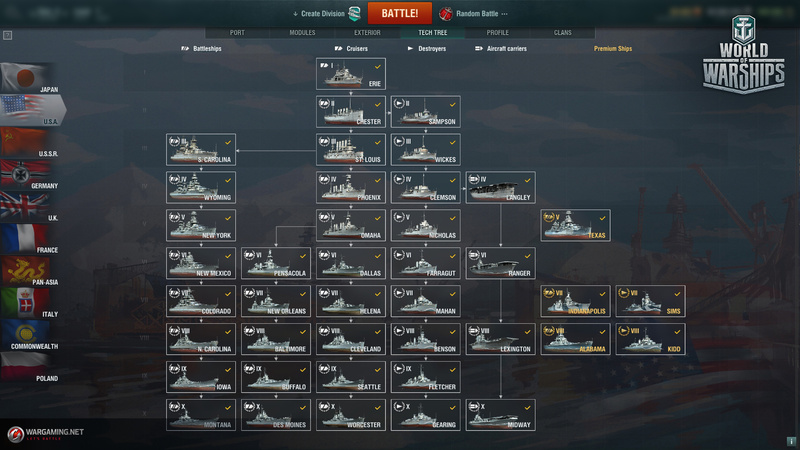 With the release of Update 0.8.0, the matchmaker will assemble battles with one or two carriers on each team, but if a larger number of carriers are in the battle waiting queue, this can be stretched to three ships of this type being allowed on each team. These values may change over the course of several following updates. The rules of matchmaking by tiers remain the same: Tier IV aircraft carriers can enter Tier IV and V battles. Carriers of other tiers can enter battles of their tier and up to 1 or 2 tiers higher. Thus, Tier VI and Tier VIII carriers can meet in battle, but Tier IV and Tier VI cannot. 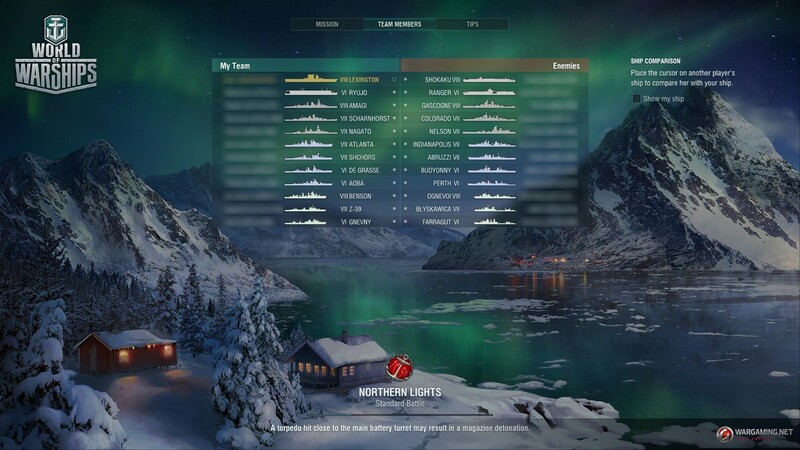 You can use the reworked aircraft carriers in Co-op mode, however, at the moment, bots are not "trained" to deal with them, and you won't see AI-controlled carriers. To keep the number of ships even on both teams, bots will have battleships of corresponding tiers opposite players' carriers. The limit for Divisions remains the same—one aircraft carrier per Division. Reworking the gameplay entails economic changes for aircraft carriers. Rewards for inflicting damage and destroying ships (the main purpose of this ship type), as well as for capturing, defending, and blocking key areas now correspond to those of battleships. 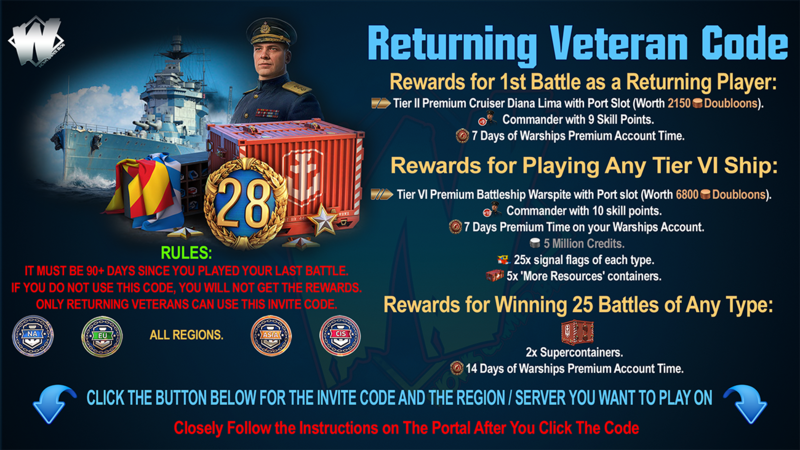 Rewards for detecting ships and aircraft have been decreased, but carriers are still more effective in this area than other ship types and will receive corresponding bonuses for it. Aircraft are now under your direct control with the WASD keys, giving you greater influence over their movement. With the increased control in the rework, comes increased costs, which is why the price of planes shot down by the enemy has doubled. Even though the cost of replenishing your planes has doubled, your post-battle credit costs will likely be the same as before. This change doesn’t affect destroyed fighter planes as they are now a consumable —you won't be charged for losing these. 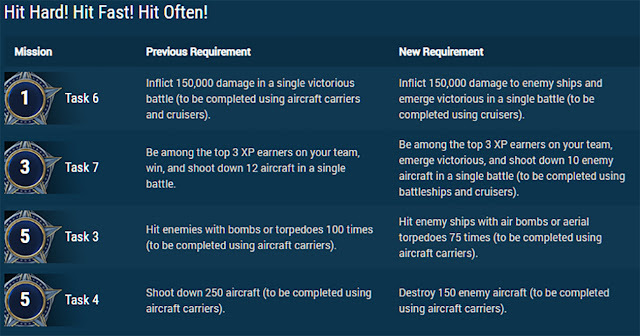 These adjustments allow for a better relation between objectives of the reworked ship type, specifics of the new gameplay and profitability and efficiency of aircraft carriers. They will also ensure an income on par with other ship types. Forthcoming updates may introduce some additional changes to economic parameters of aircraft carriers. Of course, these modifications affect other ship types as well, that's why rewards for destroying planes in battle will be reviewed. 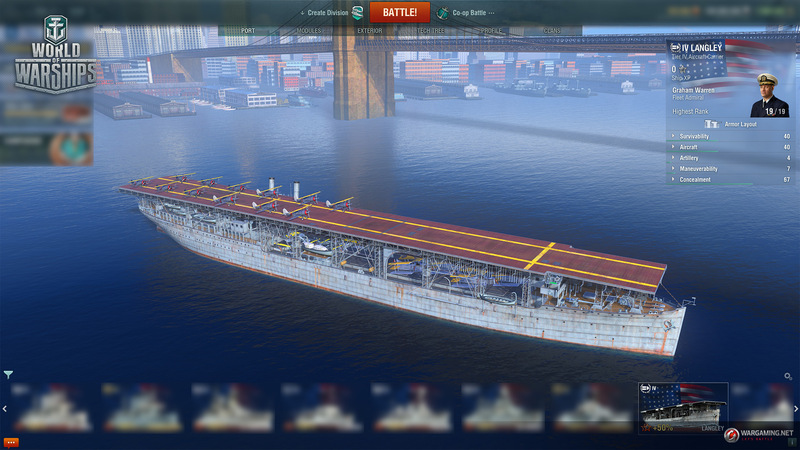 Changes to the aircraft carriers' Tech Tree are among the most drastic ones. Now carriers can only be found at even tiers. The higher the tier, the more noticeable the improvements of combat efficiency: better characteristics, more aircraft in squadrons, more powerful weapons, and, accordingly, more significant damage and greater potential to influence the course of a battle. However, with great power comes great responsibility, and the price of making a mistake increases: enemy AA defenses are set to become more dangerous and it will be more difficult to maneuver a large squadron between the explosions of AA shells. Apart from this, a Tier IV carrier is now researched from a Tier IV destroyer, because the carriers' gameplay is closer to that of destroyers in terms of dynamics. 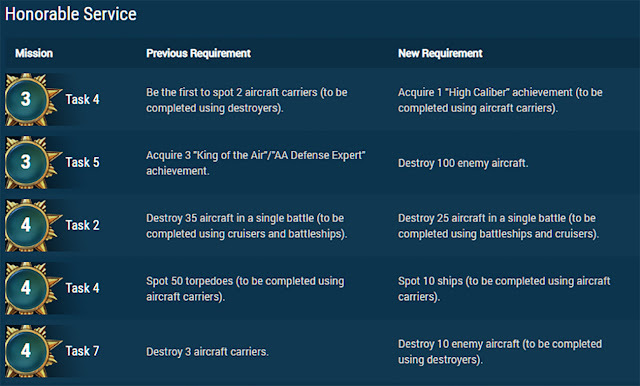 Due to this change, battles with aircraft carriers will be assembled faster, because those playing with this ship type will be concentrated on a smaller number of tiers. 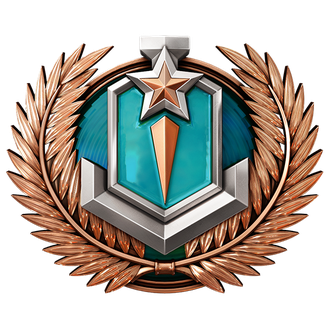 The Tech Tree's economics will be also modified: progressing from tier to tier will become more expensive in terms of XP and credits, but cheaper overall than moving two tiers up in comparison to how it stands at the moment (for example, going from Tier VI to Tier VIII will be cheaper than it is currently). What will happen to the carriers from uneven tiers? The main reason behind the temporary removal of uneven tiers is that they are too similar to their adjacent tiers and offer little difference in terms of gameplay. 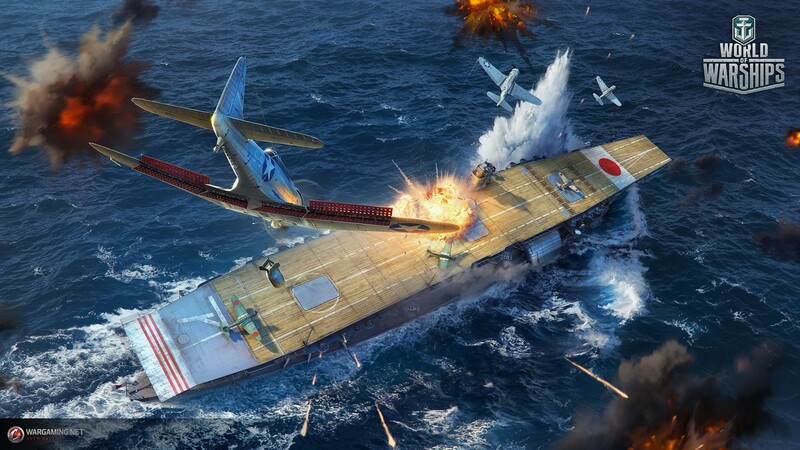 Once the gameplay update is in effect and after some time has passed, we plan to release alternative branches of aircraft carriers. 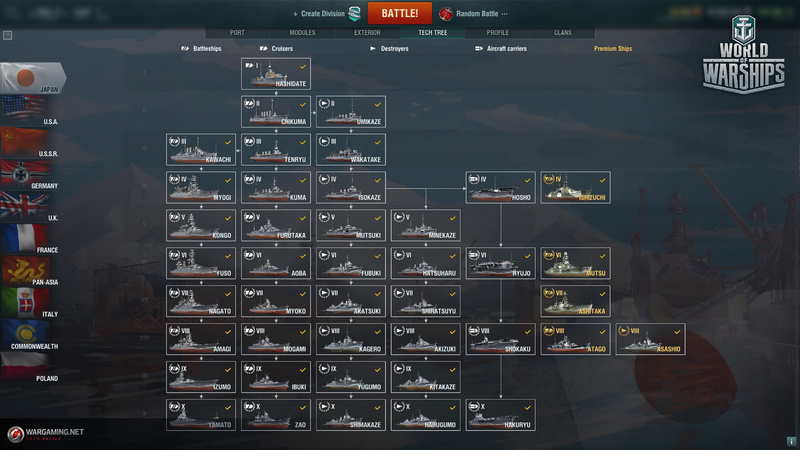 This will mean bringing back all, or almost all the carriers removed due to the ship type being reworked. We also intend to make different gameplay for the alternative branches focusing on other ways to impact a battle, considering unique approaches to victory and interaction with both allies and enemies. The word "different" can imply an array of diverse options. Alternative ships could concentrate more on helping their allies rather than dealing damage, for example, they might provide better spotting. It's possible that some aircraft types from alternative branches will be able to set small smoke screens, thus enabling them to save an allied cruiser from heavy shelling. Maybe they will even have the ability to help an allied battleship fight any fires that might be on board. Or perhaps even, some aircraft will gain the ability to land on water and capture control points, although they will be very easy to destroy. The options are numerous, and we have listed only a small portion of them, but please do understand that these are auxiliary possibilities, that would be designed to accompany inflicting damage, as opposed to replacing it. It’s very likely that alternative aircraft carriers will be more difficult to play on than ships with strike squadrons. But in several months they could certainly become an excellent choice for those who have mastered the reworked gameplay by then and want to try new options. Upgrades, Commander Skills, and signals will be updated as well. To allow you to adapt your Commanders to the new carrier gameplay as comfortably as possible, from January 31 to February 8, you’ll be able to retrain your Commanders and redistribute their skill points for free. 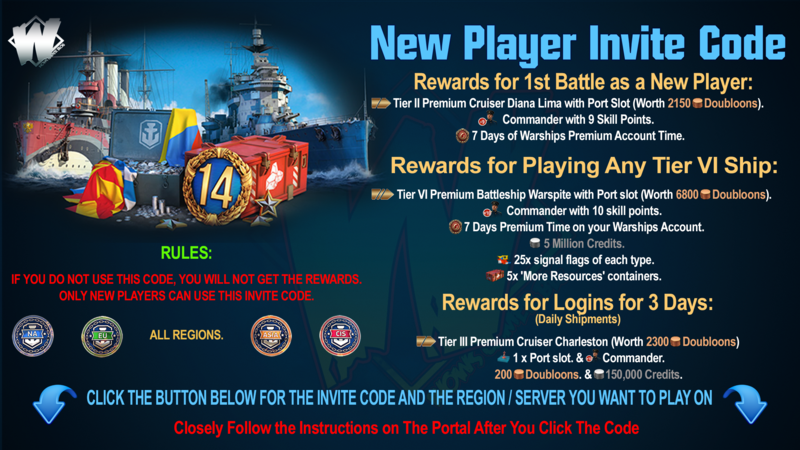 This event includes all Commanders and is only limited by the specified time frame. Increases the speed of aircraft returning to the carrier. Increases the Engine Boost time of a carrier's squadrons. Extends the attack time of torpedo bombers. Extends the attack time of attack aircraft. Decreases the detectability range of your ship and aircraft; increases the dispersion of shells fired by enemies attacking your ship. Accelerates aircraft servicing and increases the maximum number of aircraft on deck. Increases the cruising speed of a carrier's squadrons. Increases the HP of a carrier's aircraft. Increases the number of explosions in salvos from mid-, and long-range AA guns. Increases the continuous damage of short-, mid-, and long-range AA guns. Increases damage per second within the explosion radius of shells fired by mid- and long-range AA defenses. 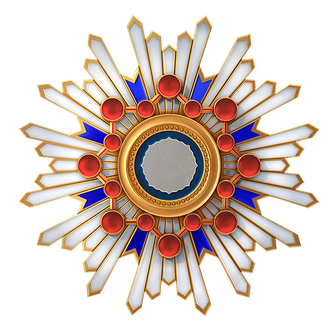 We're currently working on them, but players who have already managed to obtain them will keep them. However, it’s not currently possible to install them on aircraft carriers for now and they'll remain "frozen" for some time. For example, the Emergency Takeoff skill has been removed because air squadrons can now still take off if an aircraft carrier is on fire. The number of ships firing their AA guns at your carrier's squadrons is displayed. Fully restores the Engine Boost of the last carrier's strike squadron. Increases the speed of a carrier's squadrons. Decreases the reload time of all ship and squadron consumables. Increases the speed of torpedoes launched from both ships and aircraft, but reduces their range. Increases the speed of aircraft carrier's squadrons as the aircraft's HP decreases. Increases both ship and aircraft HP including fighters, depending on the ship's or aircraft carrier's tier. Reduces continuous damage to aircraft in short-, mid-, and long-range AA defense zones. Increases the chance of ship and aircraft armament starting fire (high-explosive shells and missiles). Does not affect the consumables of aircraft carrier squadrons. Does not work on aircraft carrier squadrons. Now it works on a carrier's squadrons. Decreases visibility of the ship and the carrier's squadrons. Moreover, now the bonus provided by the Concealment Expert skill is the same for all ship types and aircraft—10%. 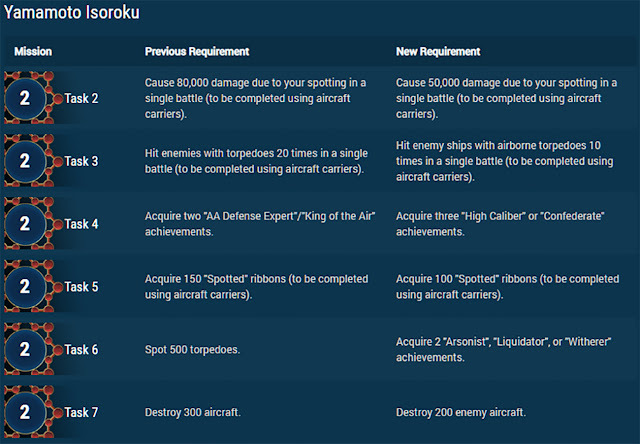 Bonus of the Survivability Expert skill for Commanders Dà Róng, Quán Róng, and Alexander Ovechkin (all variants) now includes the aircraft bonus and adds +20 HP for every tier of the ship instead of usual +15 HP. 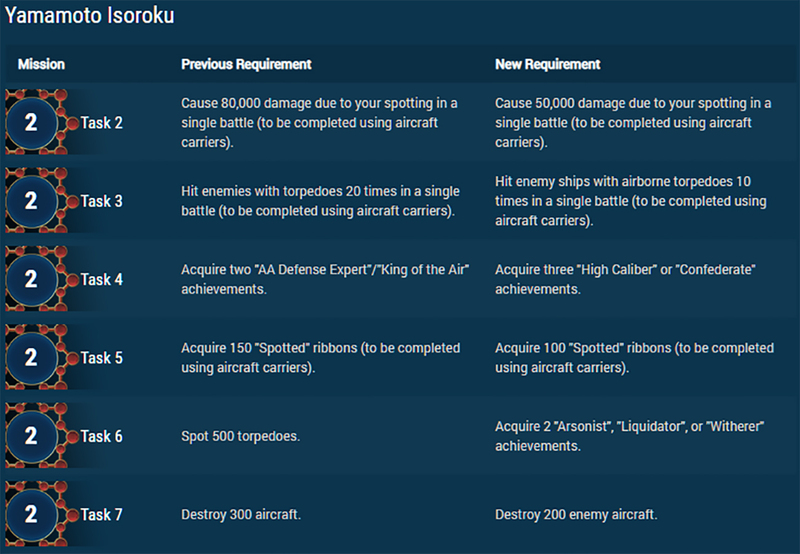 Bonus of the Demolition Expert skill for Commanders Dà Róng and Quán Róng now includes the aircraft bonus and provides an additional +1% damage to all armament types. Bonus of the Adrenaline Rush skill for Commanders Jean-Jacques Honoré and Charles-Henri Honoré provides +0.25% to squadron speed instead of the usual +0.2%. New skills bring new ways to increase the characteristics of your squadron! You can choose which you prefer more: speed, survivability, concealment, or you can even try combining these skills to make your ideal set! 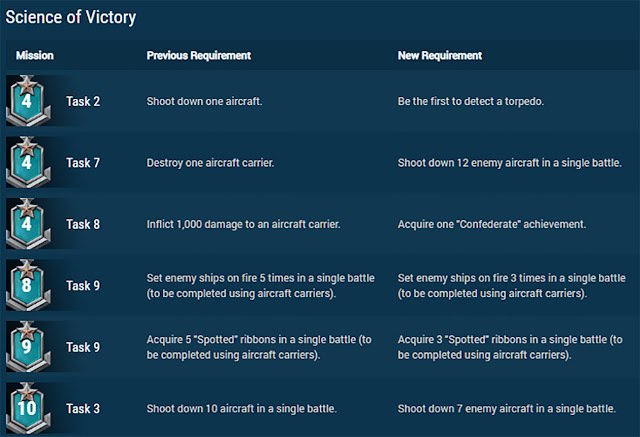 With the release of Update 0.8.0 you can use up to 8 signals on aircraft carriers, as with other ship types. Increases the continuous damage of short-, mid-, and long-range AA guns, and damage per second within the explosion radius of shells fired by mid-, and long-range AA guns. The achievements "AA Defense Expert" and "King of the Air" will no longer be available after the release of Update 0.8.0. 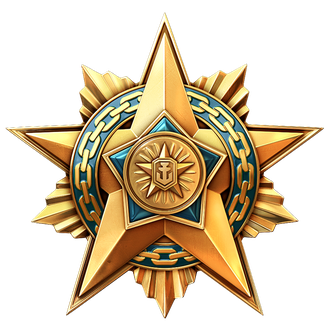 However, these achievements will return with modified requirements in the future. 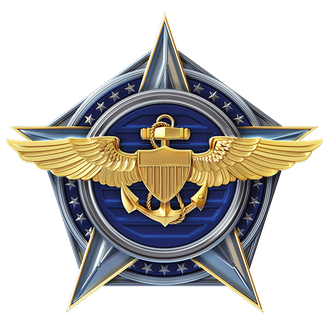 The requirements for obtaining the Aircraft Carrier Commander emblem currently remain unchanged. However, they will be modified for the new aircraft carriers in further updates.